So one day, in the fourth year after Richard II came to the throne, a couple of reprobates were ushered into the hallowed formality of the Guildhall of London. In front of them was the Mayor of London – one John Hadlee – and all the great and good aldermen and sheriffs. And I would not have been one of those two for all the flax in Flanders. The aldermen looked the two up and down. John Warde – a Yorkshireman – and Richard Lynham, from Somerset, may have been looking shiftily at the flagstones and shuffling their feet but the expert eyes of the assembly noted that for beggars, these two were rather stout. They had been apprehended with a motley group of props about their person: two ell-measures – a standard measure made in wood using the distance from the elbow to the tip of the middle finger – and a prop of the city traders; an iron hook and pincers. Most macabre was a strip of leather, shaped for all the world like part of a shrivelled human tongue, and edged rather theatrically in silver. Just to ram the point home, they had put writing around the macabre artefact, reading: This is the tongue of John Warde. The two stood in the dusty silence and listened to their own story. With these aforementioned instruments, and with divers signs, John Warde and Richard Lynham gave the distinct impression they were city traders – otherwise, why would they have ell measures? They had been set upon, they claimed to passers-by, by robbers who stole all their goods, a vast expanse of wealth. But the robbers, they elaborated creatively, were not content with taking everything that belonged to the pair. No: they had gone on to draw out the tongues of the two men with the giant hook and cut them off with the pincers now in their possession. Nice of the robbers to leave the tools of their trade behind. So these two were wont to stand in the streets of London, making the most awful roaring racket and opening their mouths which had been cunningly doctored to conceal their perfectly healthy tongues. And naturally good folks donated money to ease their sad plight. A silence ensued. How, asked the mayor, do you answer these charges? And the pair replied that it was a fair cop, and they had indeed done everything just related. It only remained to sentence them to some extremely unpleasant sessions in the pillory on the Wednesday, Friday and Saturday before the feast of St Simon. Which the Mayor and Aldermen did: and I know this because they wrote it in their letter-books. 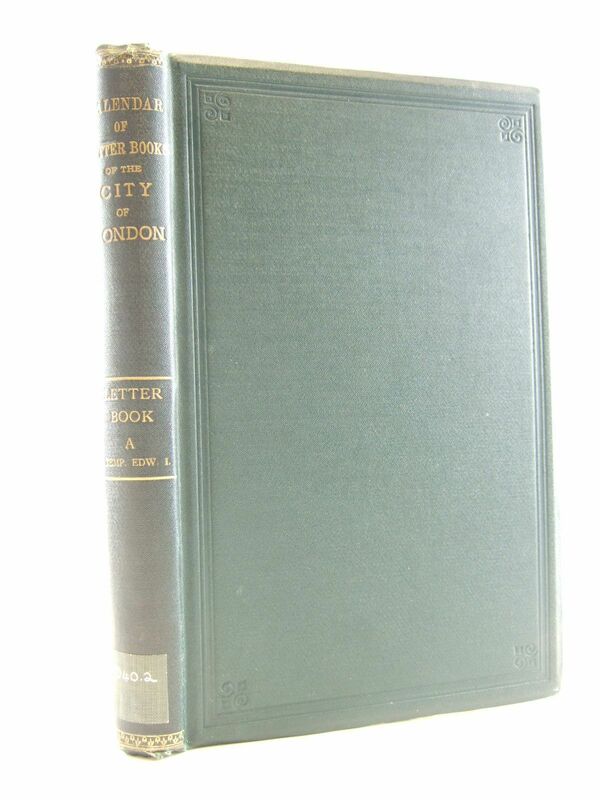 These still exist:unbelievably, and in scores of different hands, chronologically hotch-potch, they comprise 50 folio volumes beginning in 1275 and concluding in 1509, outlining the concerns and activities of the City of London. The volumes now rest safely at the London Metropolitan Archives at Clerkenwell. And this is just one tiny scrap of story from a 1380 folio. It makes you want to read on, doesn’t it? Posted in Quirks of History, UncategorizedTagged City of London, history, letter books, plantagenetBookmark the permalink. You have been writing amazing posts Kate. One wants to dig deeper and know more and that’s a wonderful trait to have in writing. Hello Jas, and how wonderful to see you back…I know your job claims a lot of your time now but we, your readers, will be keeping a close eye on your blog for any time you find the time to write. Thank you for that wonderful compliment. When I discover interesting snippets there is no greater pleasure than telling their story. I wonder why they chose Wednesday, Friday and Saturday? A gap and then two consecutive days. I’m sure they were really happy when the feast day arrived. Lucky they landed in the pillory instead of having the pincers applied to make their tale a true one. As to reading more ~> this is just one such story on one day in one month in one year in one city in one country. To consume the annals and folios and follies of history around the globe would require a large investment of time indeed. I’m not sure I’m up to the task. Deal! Your recounting of the stories that spark your interest always interests me. A tad worse, it would seem, than the cat getting your tongue. At least the cat might just nibble around the edges. I was afraid you were going to say that the punishment for their crime was to have their predicament made true. But perhaps even in those dark ages that might have been viewed as cruel or unusual punishment. I was surprised they did not get more stringent punishment, Michael. But I can only imagine that the pillory was really quite awful if you were in it, especially for that length of time. It’s not a theory I’ll ever test out, though.